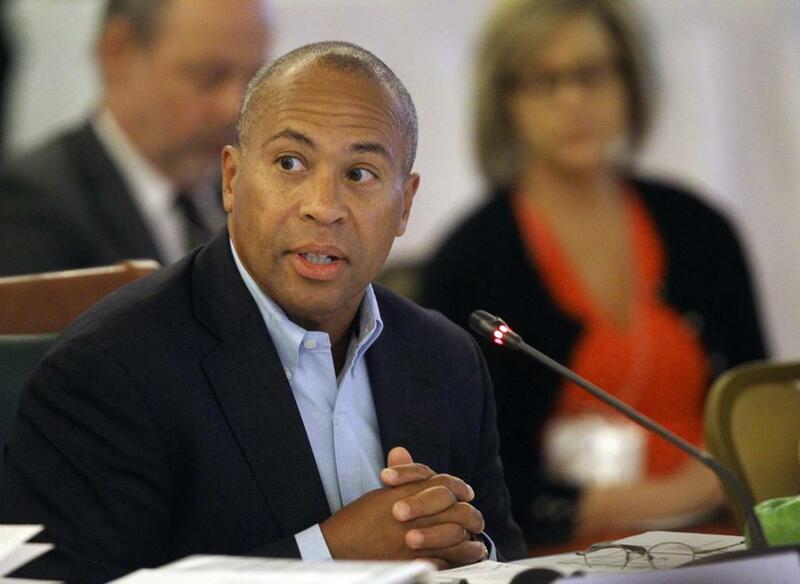 Governor Deval Patrick is shown in a file photo. Governor Deval Patrick on Wednesday said he wanted to find a way for Massachusetts to help alleviate the crisis of children seeking to cross the U.S.-Mexico border, avoiding the type of feud with the White House into which other governors have been drawn, and invoking powerful imagery as his motivation. Patrick said his immediate challenge was finding where in Massachusetts to house the children as the federal government, which he said would pay for the assistance, determines how to handle the nearly 60,000 children estimated to have migrated from Central America. Charter flights carry immigrants to Mass. Estimates for how many children Massachusetts could be asked to shelter, he said, had not yet arrived. “They’re not saying and haven’t asked that we take a certain number,” Patrick said. His invocation of the Holocaust appears to correspond to the story of the St. Louis, a ship that sailed from Germany in the spring of 1939 carrying roughly 900 Jewish refugees. The ship was forced to return to Europe, where more than a quarter are known to have died in the Holocaust, according to the United State Holocaust Memorial Museum. Maryland Governor Martin O’Malley, who has shown the type of interest in a 2016 presidential candidacy that Patrick has eschewed, has found himself in a public spat with the Obama administration over the issue. O’Malley last week criticized the administration for being too callous toward the children. A top Obama aide later reportedly called O’Malley to contest the remarks. During the call, according to published reports, O’Malley asked that the immigrant children not be sent to a facility in western Maryland. O’Malley aides have said that he is working with federal officials to find suitable places in Maryland for the children to go. Patrick, who is personally close with Obama, on Wednesday pointedly did not criticize the administration’s handling of the border crisis. Also on Wednesday, Governor Dan Malloy’s administration turned down a federal request to house 2,000 children at a mostly vacant facility in Southbury. • Federal officials acknowledge flights of immigrants to Mass.